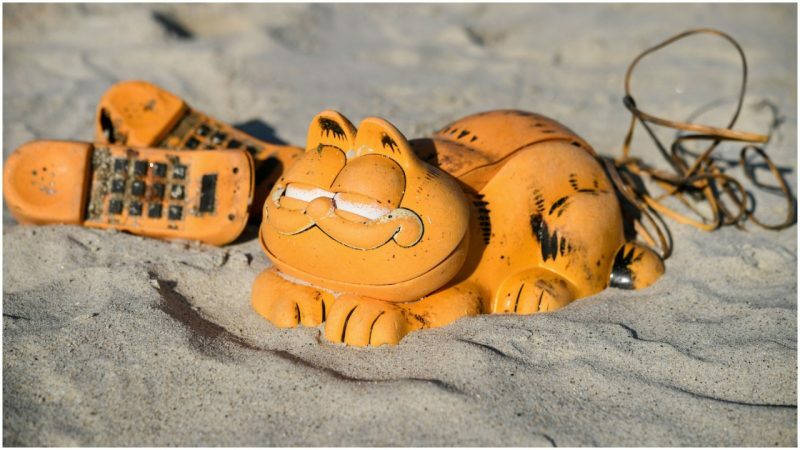 Fragments of Garfield-shaped novelty telephones have been washing up along the coast of the Finistère region of Brittany, in northwestern France, for the last 35 years, The Guardian reported. The orange phones had become the bane of litter-decrying environmentalists and a symbol of our careless, throwaway society, but where they came from was a mystery. Now that mystery has finally been solved by volunteers from the local beach cleaning association Ar Viltansoù. 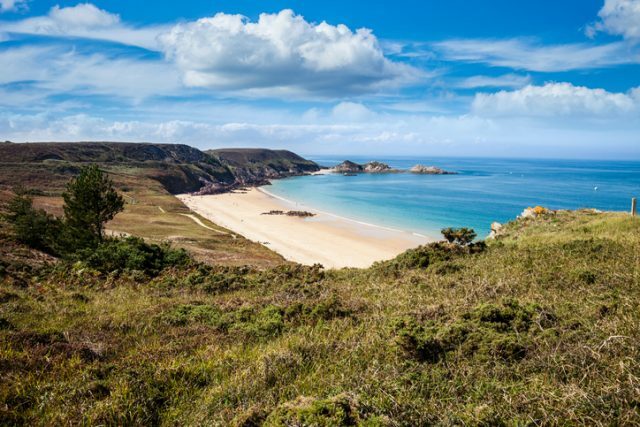 This ruggedly beautiful stretch of coastline has been shaped over the centuries by the Iroise Sea — part of the Atlantic Ocean and one of Europe’s most dangerous stretches of water, known for it’s strong currents and violent storms. 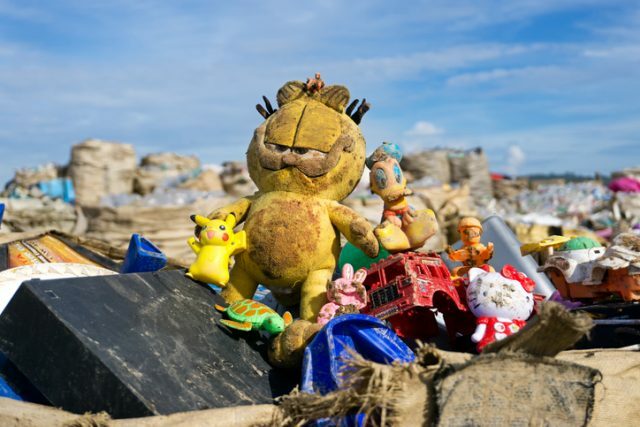 Volunteers from the environmental group — who tirelessly pick up litter that washes up along the coast of Brittany — could not be sure of the source of “les téléphones Garfield,” though many had long suspected they came from a lost shipping container reportedly swept off a cargo ship in 1983. Their suspicions were confirmed when local farmer Rene Morvan led volunteers from Ar Viltansoù to a sea cave. 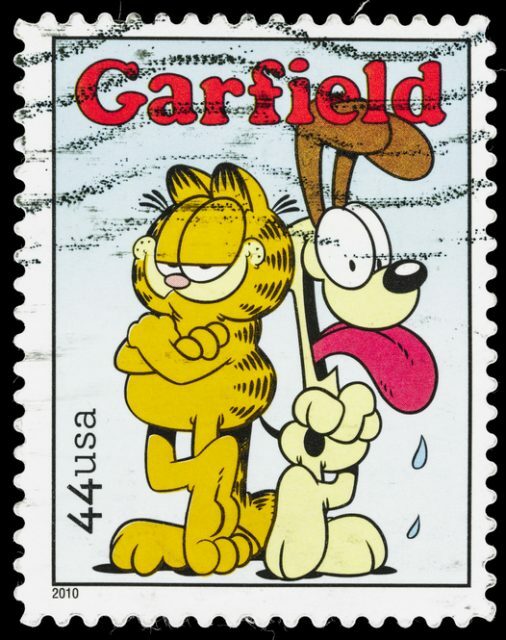 Claire Simonin-Le Meur, president of the environmental group, told Euronews: “At the cave opening there was a Garfield lodged in the roof, so we knew we weren’t mistaken and this was where they were.” The cartoon cat grinning down at them was in much better shape than those which washed up on the beaches. Morvan approached regional newspaper FranceInfo in response to their plastic pollution campaign, AlertePollution, with a curious tale from his youth. He recalled going with his brother to see what the huge storm of 1983 had left behind. “At the time, there was a lot of things that came to us from the sea,” he said. And sure enough, the phones were found among the remnants of a rusting container in an isolated cave, accessible at low tide but completely submerged by the turbulent waters at high tide. Fabien Boileau, the director of the Natural Sea Park of Iroise, also spoke with journalists from Euronews after visiting the cave, where he said that the mystery was only partly solved. “We have no idea what happened at the time, where it came from, what ship it was or if one or several containers fell in the sea,” Boileau said. The vintage telephones were popular in the 1980s and are around 30cm (12 inches) long, with popping eyes that opened and closed. With a considerable chunk of the rusting container buried underneath rocks, making it impossible to retrieve, environmental activists have warned that the container’s discovery will not prevent the phones from polluting the beaches since they will take an unimaginable amount of time to degrade. “I cannot imagine that these phones could ever be totally destroyed, given their state of conservation after more than 30 years in the water,” Simonin-Le Meur told journalists. While the container helps solve a part of this 35-year old mystery behind the Garfield phones, environmental activists do not believe that it’s the only source of plastic pollution. For one thing, it was mostly empty; for another, the phones keep washing up onshore. In 2018 alone, according to the beach cleaning group, more than 200 pieces of these phones were found. They believe that more than one shipping container filled with orange phones was lost on the night of that storm in 1983.